David Ellerman. Helping People Help Themselves. University of Michigan Press, 2006. This is a remarkable book. The author, having worked within the World Bank for a decade, knows whereof he writes. And he tells us that almost all development assistance is self-defeating-misguided at best if not deliberately harmful. And that's just the tip of an enormous iceberg that spans across every helping field. That is, as Ellerman puts it, every field in which some humans ("helpers") try to get others ("doers") to do something: parents/children, teachers/students, managers/workers, medical professionals/patients, counselors/clients, etc. Ellerman's main thesis is actually two-fold. Negatively, he contends that we need a "strong theory of what not to do, a theory of unhelpful help." This comes in two forms: overriding help (social engineering), where the helper imposes goals or strategies on the doer; and undercutting (charitable) help, where the doer is kept needy and incapacitated by the helper's benevolence. A great deal of development assistance, like a great deal of teaching, parenting, professional care-giving or counseling, etc., at least on Ellerman's view, consists of one or both forms of unhelpful help; only rarely does it embody respect for the doer's autonomy. The practical implications of his alternative philosophy of development are straightforward; for example, that what is needed for developing nations are "global networks of local agencies rather than global agencies." More fully, the book contends: "Power corrupts, and we have accordingly seen how the most powerful agencies such as the World Bank and the IMF cannot stop themselves from trying to play the role of the teacher who has the Official Answers. This in turn undercuts the freedom of inquiry of their own research staff that is the foundation of intellectual integrity (Ellerman, 250)." Reviewers, myself included, have pressed Ellerman for illustrative cases of his autonomy-respecting model. His reply is that examples are everywhere and nowhere. They are as everyday as parents who know when to back away and let their child make mistakes, and teachers who support imagination and constructive learning, rather than teaching to standardized tests or until no child's behind is left. On the other hand, there are no examples to be duplicated or followed like a dog imitating its master; the doer must have the space and support to reinvent his or her own wheel. To put it another way: development assistance, much like life itself, is an art; solutions are found, and problems solved, not by applying recipes or formulas, but by exercising creative judgment. etc. don't especially care about their own autonomy, or that its been compromised, not to mention that of their peers or fellow citizens? There are days when this seems to me almost the "normal" condition in this autonomy-challenged society. Not surprisingly, Ellerman's response to this worry is original and challenging. "Autonomy-respecting help," he claims, "need not always involve Zen non-directedness; at a certain point, the 'tough love' of kicking a bird out of the nest is how it learns to fly on its own." One "modest proposal" he would make in this vein involves placing term limits on jobs (e.g., 8-10 years)-beyond which one would have to join in forming a spin-off enterprise. Cooperatives and other democratic firms would be more likely to favor this approach than conventional firms, where owners and management want to retain or expand their control over all productive units. In fact, the Empresarial Division of the CLP in Mondragon, now a separate coop, actually fosters such spin-offs. He concludes, "... the term limit idea is a crude kicking-out-of-the-nest that could prove autonomy-enhancing overall. I would like to see some more experimentation here." This is a book to be read and re-read. 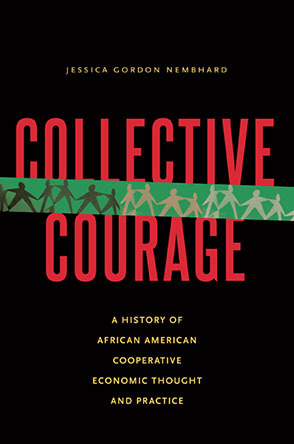 It will provoke, but it will also connect the work of economic and cooperative development to a rich, liberating, and too often overlooked tradition of practice and theory, one that includes such diverse notables as Ella Jo Baker, John Dewey, Mary Parker Follett, Paulo Freire, Mohandas Gandhi, Paul Goodman, Myles Horton, Carl Rogers, and Ernesto Sirolli. (For more on this tradition, see Mary Belenky's A Tradition That Has No Name, as well as Myles Horton's The Long Haul and the Rahman book mentioned above.) And when that connection takes root, old truths will become stale, and fresh questions will arise.